This budget guide to backpacking China will tell you everything you need to know about travelling China. From the cost of accommodation to cuisine and culture, we’ll cover it all right here! We backpacked around China for a month and lived there for 13 months, so we consider ourselves experts on this amazing country. When backpacking China, you can expect world-class hostels, unbeatable history, second to none sights and extremely hospitable people. China is one of the most underrated travelling destinations in the world! How Much Will Backpacking China Cost? $75 / day for two people. This is a very comfortable budget allowing for lots of delicious food, plenty of beer, entrance to sites and nice budget-level, private hostel room accommodation. Backpacking China is very affordable, although costs of trains and sites can add up quickly. Not only is travelling China very cheap, but so is the cost of living in China. You may be surprised at how good the hostels are in China! The staff are extremely helpful and speak great English, be sure to take advantage of this when you’re going to your next destination. Ask the staff to write down some directions in Mandarin for you to show taxi/bus drivers to ease your travel days. The hostel rooms are always clean and comfortable, typically there are special nights (dumpling making, BBQ’s, etc.) and the hostels always have a great vibe. When backpacking China, you won’t be disappointed by the hostels! **GOAT NOTE: Yangshuo Culture House is one of the best guest houses we’ve ever stayed at. The owner, Wei will feed you 3 delicious meals a day and treat you like family all for around $15/day/person (or less). Click here to check out the latest rates. Chinese food is best enjoyed in large groups, so if you’re backpacking China with other people, definitely go to the restaurant together, order a bunch of dishes and share them around the table. *Note: while Westerners may find some of the food to be seriously strange, there are MANY “normal” dishes in China for you to enjoy. 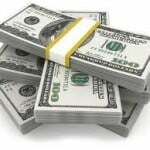 Most sites will cost around $10 – $25. The Great Wall Of China costs 45 Yuan ($7.50), The Forbidden City is 80 Yuan ($13.50), and 150 Yuan ($25) for the Terracotta Warriors. Use a student card and you can get 50% off all entrance fees. A good tour to the Great Wall from Beijing can be arranged from most hostels in Beijing, for around 280 Yuan ($48) including pickup and drop off at the Great Wall, as well as a delicious lunch. This “tour” isn’t tacky or touristy as there is no tour guide and you are free to walk around and explore the Wall independently for 3 hours. Beer is tasty and cheap in China. In fact, it’s the cheapest beer we’ve ever come across during our travels. 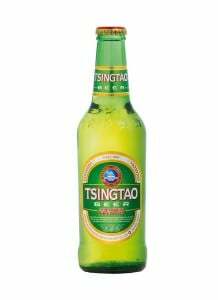 The most popular brew is Tsingtao, but other beers are much cheaper. You can get a case of 12 big bottles (650 mL) for under $5! A big beer at a restaurant is almost always under a dollar. One thing is for sure when travelling China, you’ll always be able to afford a beer at the end of the day! DON’T TIP! There is absolutely no tipping in China. If you try to leave your change or give extra money to your taxi driver, he’ll probably just look at you in confusion. Chinese people don’t tip for ANYTHING in China so just take your change for everything you buy. They won’t understand that you’re trying to give them gratuity, they’ll just tell you to take your money. China is jam-packed full of amazing sights and incredible history. You could go backpacking in China for a lifetime and not see it all. But, here is a list of our favorite places (from south – north) that you should definitely try to visit while travelling China. Hong Kong is expensive, but it’s a buzzing city with a modern vibe. There are great restaurants and bars here and the city is completely alive at night. Make sure to check out some of the ancient architecture, old towns and outlying islands as well. Hong Kong isn’t all about the nightlife! There are numerous accommodation options in Hong Kong – just be aware that (due to lack of space) many of the rooms are quite small. 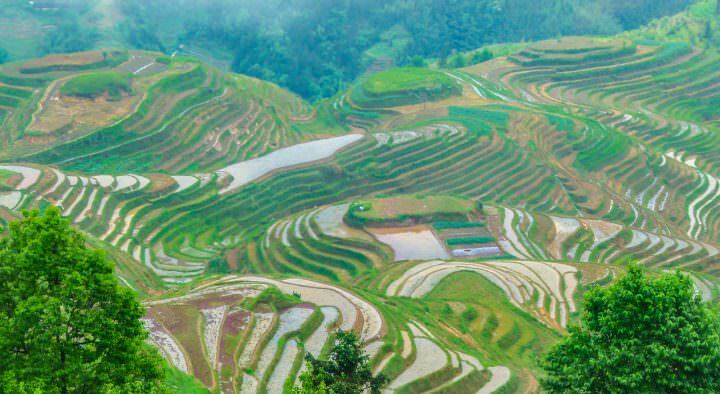 A stunning range of rice paddies, farmland and picturesque rivers all divided by massive limestone karsts that erupt from the ground like giant fingers. Rent a bicycle and peddle around the amazing countryside, go for hikes, take a boat ride down the Yangtze river and mingle with the friendly locals. This is one of the most beautiful places to see when travelling China. As we mentioned above, we enjoyed our stay at the Yangshuo Culture House, which offers homecooked meals as well. Regardless of where you stay, make sure to rent a bike and explore! There are lots of accommodation options in Guilin. We stayed at Guilin Central Hostel and highly recommend it. 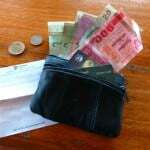 Click here to see the latest price of that hostel on HostelWorld. This beautiful old town in An Hui province is well worth the trip. Old architecture, narrow alleys, friendly people and great hostels make this an excellent town to visit. If you are near Shanghai and you want to see an old Chinese town, which isn’t often frequented by tourists, Túnxī is a great choice. *Note: Túnxī is the central district of Huangshan City. This city is a sprawling metropolis of nearly 15,000,000 people. Chengdu itself has a couple of nice gardens and a beautiful (if over-restored) old town. The main draw here is a trip to Giant Panda Breeding Research Base where you can see these amazing creatures sleep, eat, sit in trees and live out their panda lives. The enclosures here are large and the pandas are well taken care of. This non-profit research and breeding facility is one of the top centers for pandas in the world, but there is a zoo-ish feel to the complex. When backpacking China, it’s important to be aware of the mistreatment of animals at some of their “attractions”. Always do your research and decide where you want to spend your tourism dollars. There are loads of accommodation options in Chengdu – on Booking.com alone, there are over 1,500 listings! The city’s infamous skyline, old architecture and funky walking street are definitely worth a visit. Although it can often be quite polluted, Shanghai is probably the coolest big city in China. There is a lot to do here and there are some excellent restaurants. We definitely recommend a stop in the city while you’re travelling China. As you can imagine, there are endless options for accommodation in Shanghai. We stayed at Mingtown Etour International Hostel many times and can recommend it. 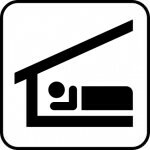 Click here to see the latest price of that hostel on HostelWorld. Xi’an is a very nice city with an interesting Muslim district that is well worth a visit on its own, but most people are here to see the Terracotta army. You’ll probably hear mixed reviews on this place while backpacking China and we have no idea why! The army was created by (and buried with) the fist Emperor of China, Qin Shi Huang, in the year 210 B.C. It’s an absolutely breathtaking site and we thoroughly enjoyed our visit to the Terracotta Warriors. The intricately carved army of over 8,000 soldiers, 130 chariots with 520 horses and 150 cavalry horses is enormous and unbelievable to see. As with everywhere in China, there are lots of great hostels, hotels and guesthouses in Xi’an. We stayed at Xi’an Xiangzimen International Hostel and can recommend it. Click here to see the latest price of that hostel on HostelWorld. Although this city can often be choked to death with horrible pollution, everyone who comes to China should definitely visit Beijing. 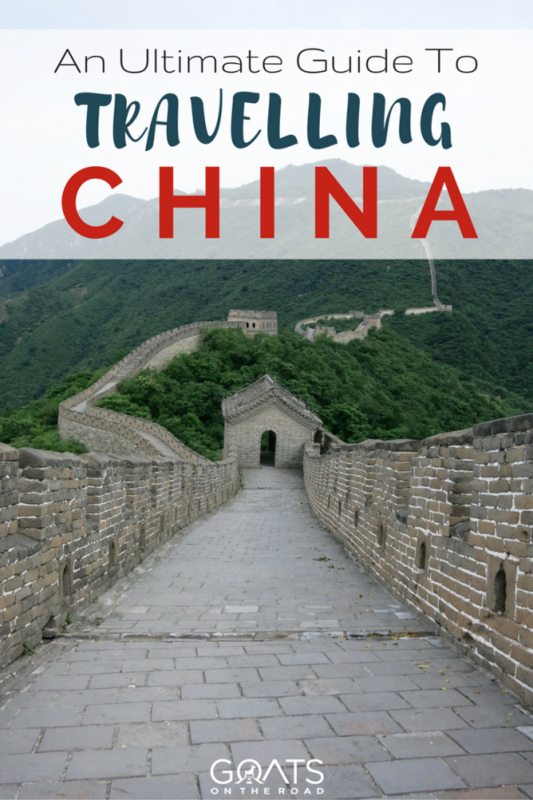 Check out the Forbidden City, the walking streets, the National Stadium and of course, The Great Wall of China, which is a Wonder Of The World and rightly so. 8,850 km (5,500 mi) of decrepid brick structure stretches over mountains and hills from Shanhaiguan in the east, to Lop Lake in the west. A “tour” to the Great Wall from Beijing including lunch will cost you $48. There are many different areas of the wall to visit and we recommend Mutianyu because it is less crowded and easy to find your way away from everyone. There’s much more to see in the city of Beijing itself – don’t miss it when travelling China! Being the country’s capital, it’s no surprise that there are many places to stay. We stayed at Dragon King Hostel and can recommend it. 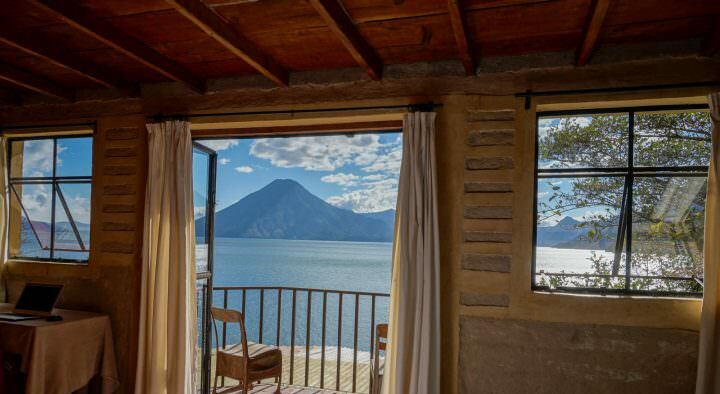 Click here to see the latest price on HostelWorld. The Tiger Leaping Gorge is a definite must see when backpacking China. Vertical cliffs rise dramatically from the turquoise waters to the glaciated peak of Snow Dragon Snow Mountain. The Jinsha River meanders its way through terraced farmlands and imposing limestone ridges, creating one of the most stunning backdrops to be found anywhere in China. Check out accommodation options in Lijiang City for your trek to the Tiger Leaping Gorge! Chinese food is absolutely delicious, but many of the best menus are in Chinese or in poorly translated English (Chinglish). When travelling China, try to meet a local family to take you out and order up some dishes. The cuisine here comes in an astonishing variety of flavours, colors and body parts. You may be like us and realize that you really enjoy duck’s blood and ox tongue! 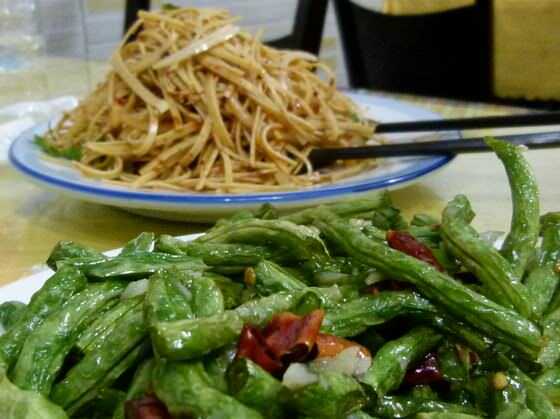 Delicious food in China: fried green beans with chilis and garlic and shredded tofu. Okay so 2 of these highlights already include food, but it’s a huge part of the culture here and hot-pot is the best way to experience Chinese food. Dip your thinly sliced meats, skewers and vegetables into a bubbling broth of herbs and spices. The best hot pots can be found in Sichuan province. This is an incredibly difficult language to learn! Try to learn a few phrases and surprise shop owners and taxi drivers. They’ll often get a kick out of your attempts and will love you for trying to speak their language. Even in China’s most modern cities, you’ll find an old town. It’s amazing to see pockets of the olden day culture, trapped inside a sea of metropolitan modernity. Walk through the narrow alleys and meet friendly local people washing clothes in the canals or cooking outside. 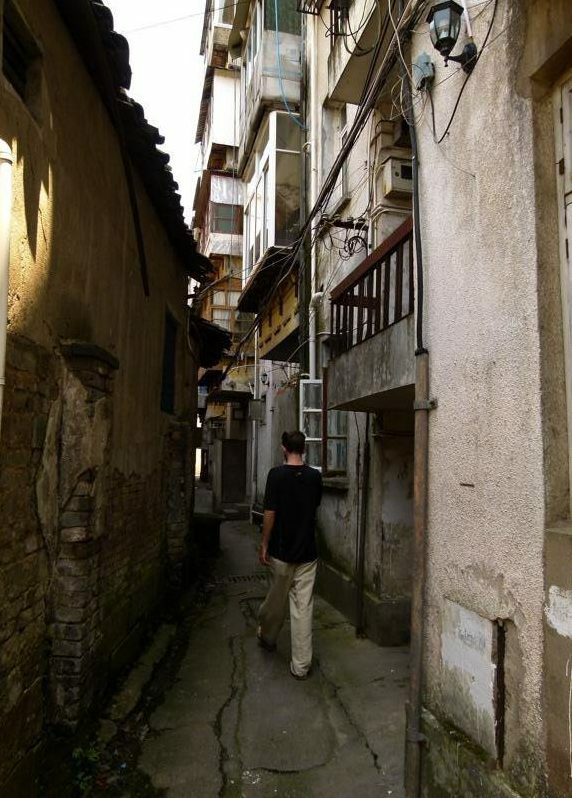 The old towns of China are a definite highlight of travelling China! KTV is the Chinese version of karaoke and it’s a huge part of the culture here. For Chinese people, a night out will almost always end at a KTV, where they rent a room with booze and sing their hearts away to a cheesy random music video displayed on screen. Going to KTV is a great way to meet Chinese people and to have a crazy night out. There are loads of crazy things on the menus here, but they almost always taste good! Try something weird and you’ll probably like it. Almost all of China’s cities and towns have some beautiful gardens you can stroll through. They’re a great way to get away from the city noise and polution, and enjoy some peace and quiet while surrounded by ancient architecture. There are plenty of old style tea houses throughout China where you can mingle with old men and watch life go by. These tea houses also have a plethora of delicious herb drinks on the menu and often offer other strange services like ear cleaning and shoe shining. You’ll see this game played everywhere when backpacking China. Commonly refered to as Chinese rummy, the bet at these small round tables are placed to the clatter of tiny porcelain tiles. If you can learn it, you’ll probably love it. There are over 1.3 billion Chinese people here, so the few foreign people who inhabit this country barely make a chip in the population. You’ll see plenty of foreign faces around major tourist sites and cities but for the most part, you’ll only bump into other travellers at your hostel. In general, the western part of China is less touristy, as is the north. Plus, it’s easy to get away from the crowds in the main cities when you’re travelling China, if you just sidestep a few streets back from the popular spots. There are hardly any westerners here and the ones who are here, live here. Yangzhou is a lovely town (we’re bias because we lived here) and it’s worth a visit for the old town, beautiful Slender West Lake Park and the friendly, inquisitive locals. There are areas of the wall that are completely crowded and pointless to see. We met plenty of people who hiked great distances along the wall and camped along the way. Even in our short visit to Mutianyu we were able to walk far away from people and find a part of the wall to ourselves – with no one around!. If you want an off the beaten path adventure, we’d recommend hiking from Badaling to Mutianyu and spending a night on the wall in a tent or under one of the outpost huts. Considered the “Venice Of The East“, Suzhou is a beautiful canal town with a great old district. Nowadays the boats usually patrol the waters looking to pick up Chinese tourists, but there are hardly any foreigners here and the place as a great ancient vibe. Located just 30 minutes south of Dali, you’ll find the Muslim villages of the Dacangzhen Valley. This area is home to Yunnan’s oldest Muslim communities. This is a wonderfully offtrack place to visit, with welcoming locals. Click here to read more about getting to the Dacangzhen Valley. Almost everywhere you go backpacking in China, you’ll have great opportunities to get off the beaten path. Get lost in old towns or ride your bike out to surrounding villages and you’ll definitely find some authentic Chinese culture. It’s a very easy place to get away from crowds, despite its immense population. China is a great place to travel and there are plenty of reasons to come here. Many people travel here on a tour, but other than that, travelling China doesn’t really come to mind for many people. But, it’s slowly starting to appear on the backpacker’s itinerary, and for good reason! There’s so much to see and do in China, here are just some of the reasons why we love backpacking China! Chinese people are full of smiles and are extremely honest. It’s one of the few places you’ll visit in the east, where you can actually trust your taxi driver to use the meter. People at markets and hotels are never out to rip you off and all those stares you get are from sheer curiosity and amazement. 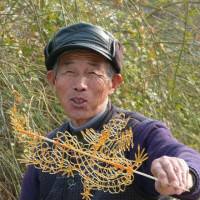 In our experience, the people in China are very friendly. Chinese hostels are incredibly cool, convenient and efficient. You’ll be treated by some of the most informative staff you’ll find in any hospitality business anywhere in the world! The hostels in China are some of our favourite for sure. It’s hard to beat China for sheer diversity and flavor of cuisine. Probably rivalled only by Indian cuisine, Chinese food is delicious and memorable. You may be surprised at how different it is from Chinese food you’ve had at home, but it’s better in every way… especially the amazing street food! China is a great place to travel, but like everywhere, there are some cons to travelling China. You’ll hear people raving about China both positively and negatively, but the greatness of the destination far outweighs any bad experiences you may have here. There are just a few cons that stand out for us. Chinese cities are surprisingly clean. The government spends a lot of time and money on landscaping and garbage control. But there are some habits that the Chinese people maintain, that make for questionable sanitation standards. You’ll often see children with holes cut out of their pants and this is not so they can use the bathrooms easier. This is an increasingly unhealthy issue for living and travelling in China. Levels of air pollution have reached record levels in recent years with air particles considered extremely hazardous to human health floating around the eastern half of the country. Check out the true Air Quality Index Here and wear a mask when it looks smoggy outside. For a fast-developing nation, China has a surprisingly low-level of spoken English. Aside from hostels, hotels and some restaurants, you’ll be hard-pressed to find someone who can speak English. The best way to get past this is to use the staff at your hostel and have them write out directions and simple phrases for your travel days. Also, having a tranlation app on your phone will definitely come in handy when backpacking China. Keep in mind that this language barrier is part of what makes China so delightfully foreign. This can be a bit of a hassle for those of us who use Facebook, Twitter and certain blog websites to keep our families and friends updated on our travels. 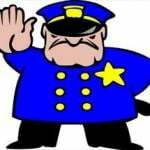 The Chinese government continually cracks down on these types of sites and it’s a good idea to download FreeGate or purchase a VPN before coming here. For a full list of blocked websites in China, Click Here. Whether you’re a smoker or not, it may be hard to get used to the amount of tobacco often floating in the air. 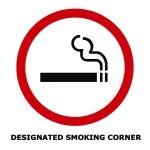 Men here smoke before, during and after just about everything they do, both inside and out. If you don’t like it… too bad! As China slowly starts to appear on the backpacker radar, there is an increasing number of visitors to the country. There are generally 3 types of foreigners here: Expats who work and live in China, tour groups who visit sites and cities on a bus trip, or independent travellers like us. The latter are a great group of intrepid souls who will make great company at a hostel dinner table. Expats are great to meet up with as they know a lot about the country that you would never learn from just travelling China. As we stated above, Chinese people are incredibly friendly and hospitable. The best thing about them is their honesty. They always giving you genuine smiles and will tell you the actual prices of items. It’s endearing to see how excited they get when they see you and yell “waiguoren!” (foreigner) to alert their friends and family. Unless you’re at a very touristy site, you can expect that everyone that approaches you really does just want to talk. China has an excellent network of trains, buses and hired taxis. Many of the trains are extremely modern and can reach speeds of nearly 400km/hour! Travelling China is comfortable and affordable, given the great distances involved. Remember to have your hostel write down instructions so that you can just hand it to the Chinese ticket sales assistant instead of trying to pronounce the city names yourself. (you’ll probably end up in the wrong place if you do!). Or, make sure you have the correct destination plugged into your Google Maps app. Taxi drivers are honest and will always use the meter. Most travellers will need a visa to visit mainland China. In most cases, this should be obtained from a Chinese embassy or consulate before departure (No Visas On Arrival). However, citizens from most Western countries do not need visas to visit Hong Kong and Macau. 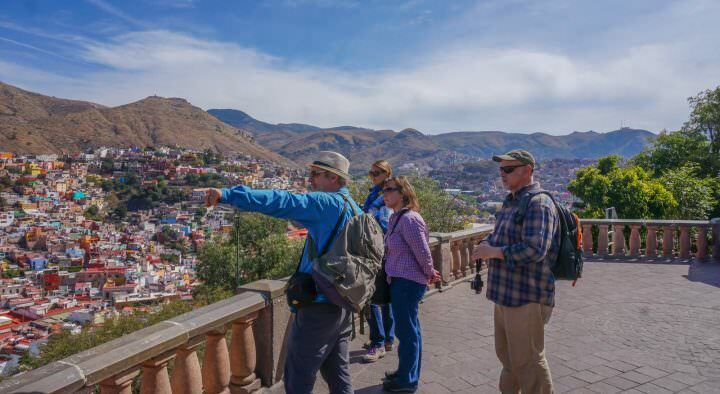 Getting a tourist visa (L-Visa) is fairly easy for most passports as you don’t need an invitation, which is required for business or working visas. The usual tourist single-entry visa is valid for a visit of 30 days and must be used within three months of the date of issue. A double-entry tourist visa must be used within six months of the date of issue. 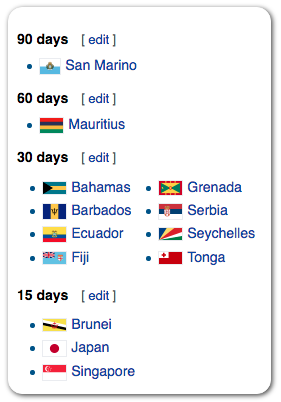 It is possible to secure a tourist visa for up to 90 days for citizens of some countries. Canadians pay around $100, while Americans pay around $140. If you have the option, it’s best to land in Hong Kong, where you don’t need a visa, and apply for the Chinese Visa there. Hostels, hotels and guesthouses can also arrange to get you your visa for a fee. 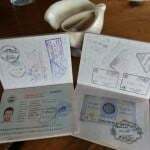 You’ll need 2 photos, a photocopy of your passport and the filled out application forms. 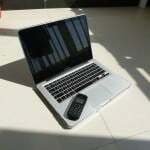 If you prefer to get help applying for a China visa, there are companies like TravelVisaPro.com that can help. You can check out their website, or you can head into one of their 9 locations in the United States. You will need to have at least one blank page in your passport which must be valid for at least six months from the date of entry. China is a very easy place to visit and there aren’t too many regulations to follow before arrival. The visa situation is always changing so check the current regulations here. There are no required vaccinations, no invitation letters and no hassles entering the borders by land or by air. The biggest health risk when travelling China is probably food poisoning and traveller’s diarrhea, although sanitation standards in restaurants are relatively high so this shouldn’t be a huge issue. We would suggest packing a medical kit that includes some antibiotics for traveller’s diarrhea, Peptol Bismol for upset stomachs and Tylenol for hangover headaches (Baijieu hangovers are painful). Be sure that all medications are in their original marked containers to avoid problems with immigration officials. Most hostels, hotels and tourist restaurants will have wi-fi, but as stated above, the internet is censored and limited in China. 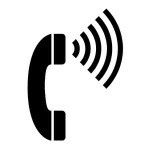 It’s a good idea to have a mobile phone so that you can call a hostel or bilingual friend to get you out of a communication jam. China stretches across a vast territory that includes some climactic extremes. From the bitter cold of the far northern border near Mongolia, to the sub-tropical climate in the south, China has a varied weather system. The best time to visit China is generally either spring (March to May) or autumn (September to early November). Beijing can be bitterly cold in the winter and even Shanghai reaches temperatures below freezing. Hong Kong is considerably warmer but can be drenched in the rainy season, with typhoons liable to hit the southeast coast between July and September. China is a perfect place to don a backpack and explore. The people are friendly, the food is incredible and the sights are fantastic! The language barrier, sanitation and smoking may cost it a couple of stars, but it’s still one of the most underrated places to travel! Dumpling Making Party in China! This is brilliant! Thank so much. I’ve just printed this out and added it to my china folder. I’m a 19 year old male and I will be travelling travelling China and Thailand for 2 months starting mid june. Really looking forward to China but also very nervous since I’ll be travelling solo. Quick question. How hard was it for you to get train tickets 2/3 days before your travel as I’ve heard there sold out by then. I think its amazing what your doing! Thanks so much for the comment. We’re glad the guide was useful for you. China is an amazing country, we love living here and we loved travelling here. Thailand is great as well. Don’t worry about travelling alone, you’ll meet lots of backpackers at the hostels and will have a great time. The best plan is to book tickets through your hostel, as the people at the train offices don’t typically speak English…or, do as we did and have the hostel write down in Chinese what you want and then buy it yourself, it’s cheaper that way! Let us know if you have any other Q’s. Thank you so much, this website is awesome, it was just what I was looking for. 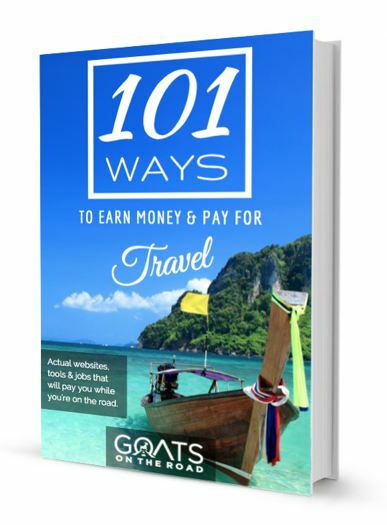 All I need to do now is find some travel companions who want to travel April 2015. Thank you so much for your great posts on China. We just got our tourist visa approved and will be departing for China within the month- and then onto Mongolia. Keep up the great blog! Excellent! We’re glad we could help out. Hi, I’m 18 years old and I have saved around 10000 chinese yuan, I was wondering if that would be enough to have a good tour of China (not the entire country, of course)? It will cost you about $40 USD/day to travel in China. 10,000 RMB (Yuan) = $1,612 USD, so based on that, you will be able to stay for for about 40 days! That’s lots of time. Thanks for this. 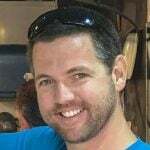 I’m a fellow Canadian as well and will be backpacking through China in March 2014, starting in Beijing and working my way south into Vietnam and Cambodia. A little worried that I don’t know any Mandarin (I’ll eventually get a phrasebook to help me), but that’ll be part of the adventure! Cheers, have a great time…it’s an awesome country. I am writing from Switzerland (watches and chees :). I’ve spoken to some people who were afraid of china because of the security. They said that kidnapping and organ trafficking is a huge problem. Have you ever been in dangerous situations? That sounds like a great journey you have planned. We have literally never felt safer than our time spent in China. There is definitely no security threats or need to worry about organ trafficking or kidnapping. Go and enjoy China, it’s awesome! And kudos to our dear Goats！ I’m from Jiangsu Province myself! It’s shame that people only know about Beijing and Shanghai while Suzhou,Yangzhou, Wuxi and Changzhou are such a treat! Hope you can come back to China again! dear sir, my friends and I would like to go to visit china next may for about 3 wks. would you be kind enough to enlighten us with an internary and the best place to visit during these three wks plus we would like to include Tibet in the visit. we would like to travel backpack as our budget is low. thank you for your help, awaiting your reply. It really depends on what you are interested in! Try to see Yunnan Province, Shanghai, Beijing (Great Wall of China), Xian (Terracotta Warriors). The south is hot in May but still beautiful. Yangshuo and Guilin are nice – rice terraces and karsts. China can be travelled quite inexpensively as well. Beer, accommodation and food are cheap. Transportation can add up, but it’s great value. First of all thanks for this post its soo interesting and helpful. It boosted my confidence on my trip a bit because the only downsides you give are things that I would have expected. Well anyways I’m Spanish and Im on an exchange year at NUS in Singapore. I have just had the spontaneous idea to travel for at least 3 weeks around china solo. Im a bit nervous because some friends have been telling me that it could get dangerous being a 20 year old tourist even tho I am a guy for me to be going around the very rural or non-modern areas of China, like fataly dangerouse and i’m not about that. My past experience in Baijing however was awesome so i suspect they are trying to mess with me but I don’t know if it is even comparable to an actual backpacking trip around other areas in China such as Lama and Anhui as well as the other touristic areas like Xian. What do you think about the safety situation? And I know that it will be quite a bit colder as I am planning to start my travels in Shanghai just b4 the new year around Christmas untill mid January. So do you have any idea of how the temperatures differ in different areas? Is there any places you believe might be really tough during this period? Finally, this might be a very trivial question but how would you guys go about travelling to see these amazing views as backpackers, because this would be my first trip as a backpacker? Do you try to get a local agency to have a guide on the spot or in advance or do you guys just read up and attempt it alone?? I hope that I can improve my Chinese on my trip and meet new people I’m sure if all goes well it will be the experience of a lifetime. Thanks for the comment. We hope you’re enjoying Singapore! China is a big, beautiful country with amazing culture, food and people. It can be a bit difficult to travel around because of the language barrier – but people do it all the time! If we can do it, you can do it. The hostels in China are fantastic. The staff speak English and they have great amenities for tourists. So, if you want to go to the Terracotta Warriors in Xian, your hostel can point you in the right direction. They can write things down for you in Chinese as well so that you can show your taxi driver. China is NOT dangerous. Out of all of the countries we’ve travelled to, we felt the safest in China. Period. It will be cold in January. But, if you stick to the southern provinces, it’s not too bad. Yunan is beautiful and is 8-17 degrees in January. The cities of Guilin and Yangshuo in the south are about 9 degrees at that time. It is VERY hot and humid in China in the summer, so winter/fall is preferable. 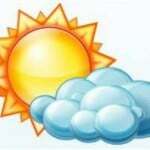 Even though January is cold, the air is crisper and clearer! We didn’t take any guides in China. If you have a Lonely Planet guidebook or something else like that, and you talk to your hostel for information, you can definitely travel by yourself. 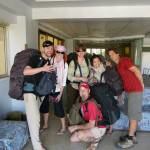 You will also meet fellow backpackers along the way. Your upcoming trip sounds amazing. You’ve chosen some pretty great countries to travel through! Another way to find Hostels are ones listed in your Guidebook (ie: Lonely Planet China). Hey there! Awesome write up! I’m an Aussie off to China in Dec and I really want to go the Harbin Ice festival as it looks AMAZING! Apparently it gets to minus 30 degrees? Have you been? I feel I will freeze to death! If you have been – any tips for avoiding this? 😉 Also, it will be okay to navigate there from Beijing without a tour… suuurely? Also, I’m panda obsessed and will definitely be heading to Chengdu. Any other recommendations for amazing panda experiences? Well, being Canadian, we’re used to the cold 😉 haha. Never been to Dalian but would LOVE to go. Just wear a jacket, scarf and boots and you’ll be fine! Yes, you can most definitely go by train. There is a bullet (fast) train or a normal train available. You can book the tickets when you are in Beijing, either from your guest house or at the station. If you’re going for the ice festival, I’d recommend booking your tickets as early as you can, maybe lots of people will be heading there? Thanks for the feedback Anna 🙂 We really appreciate it. We are currently in Beijing and are looking to book the trip to the Great Wall that you spoke about, the one through Dragon Guest House, just wondering if this is ‘Happy Dragon Guest House’ or ‘New Dragon Guest House’ ? Or even better, do you happen to have their website where we can find an address. 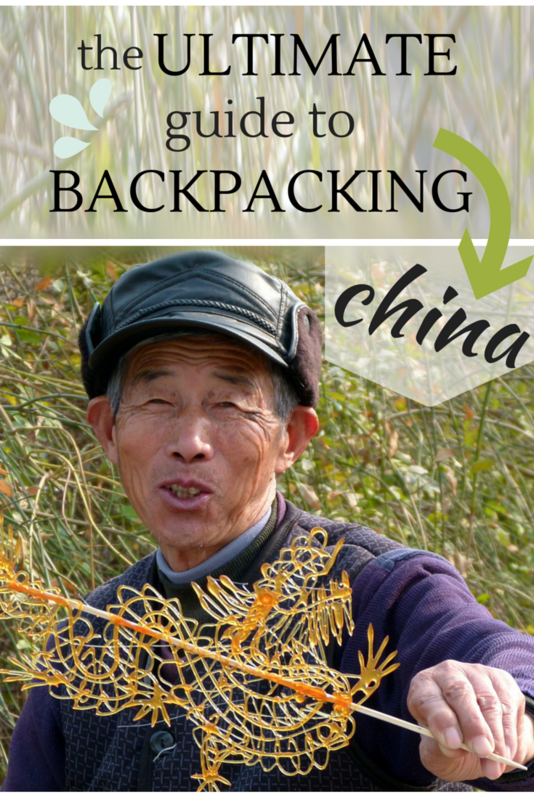 Thanks so much for the back packing guide, has really helped us plan our trip, not just in China! What a wonderful post – so very helpful! We have never done backpacking before but we’ve been to Hong Kong, Vietnam, Philippines on separate trips. We love Asia and now we are planning a backpacking trip across China and Thailand (mainly China and briefly Thailand). We are thinking to go in mid May for 4 weeks. Around 3 weeks in China and 1 week in Thailand. We will most likely fly to Shanghai. Would you recommend traveling south of the country – Shanghai, Guilin, Kunming and then Bangkok or stay in Shanghai for a few days and fly to Beijing to travel north/central? We prefer temperature to be around 24-27 degrees Celsius, so no heat! We understand that 3 weeks is very little for this massive country, so we will need to concentrate on a certain route/area. We want to see natural beauty, landscapes, lakes, rivers, waterfalls, mountains, meet other travelers and enjoy great food. We don’t have to see Great Wall or Terracotta Warriors. We prefer somewhere less touristic. Any suggestions? Thank you are keep up the good work! We’re so happy you found the post useful 🙂 China is a massive country with so much to see and do. If you’re interested in being places that are less touristy, going in May is a good idea as it’s the shoulder season. May 1 – 3 is a holiday in China and it can be quite busy with locals. We enjoyed the south – Guilin, Yangshuo, Hangzhou, Suzhou and if you can, Yunnan Province. You could always take a train to get to Beijing if you wanted to – Although touristy, the Wall is beautiful. Also, May is technically the rainy season for some of the country, but it makes it look much more lush and green! Plus, you can’t predict the weather anymore. I am going to have a business trip in shenzhen for two weeks ;would you please guide me for any cool attractions or places in this city? 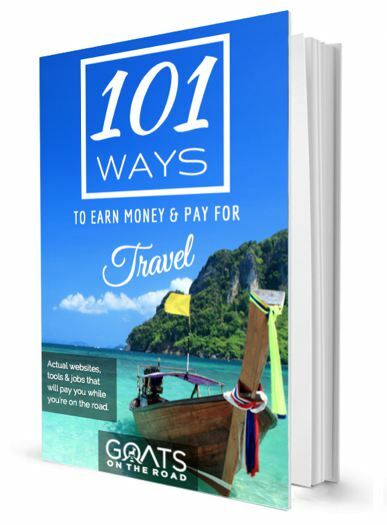 Great article and website, it’s been really helpful in assisting me to plan my trip. I’m planning 3 months in SE Asia and then 3 months in China with maybe a week or two in Mongolia. Followed by a year living in Chiang Mai, Thailand while I study at an Australian University externally (online) for a year doing postgrad studies. At the moment my plan is looking something like this; Yangshou, Longji, Zhangjiajie, Yichang, Chongqing, Chengdu, Xi’an, Zhengzhou, Shanghai, Huangshan, Beijing. Would you recommend adding or dropping anywhere from that list? So I’m pretty comfortable with everything you’ve said and I have a couple more questions. Firstly the $75 per day that you’ve suggested is for couples, what would the solo traveller requirement be? Secondly, I’m confused by the requirement for visas. My understanding of the difficulty of the process has been very different from your discription. My main concern has been that I’m not going on a tour group or staying with locals that can vouch for me and am planning to be there for 3 months. All I do know if is that I’ll need at least a double entry into China visa if I plan to go to Mongolia. I’m Australian if that matters when considering the visa. My last nuggest is that I made all of these plans after finding out I was being made redundant less than two weeks ago and that my contract finishes on Dec 31st and so I’m planning to leave Jan 1st which I’m super excited about! It just doesn’t leave much time to organise the visas. 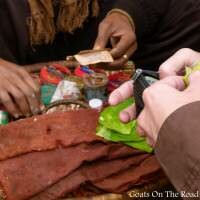 Hi Gang, here is an epic link I was looking at that went into some detail about visas. If I’m travelling from Vietnam could I potentially get a visa there? Had planned to go to Hong Kong from there but if it means getting a visa I’d be happy to make other arrangements. I have lived there for five years and most of what is said is untrue. China is an amazing place to visit but is a hard and hostile land. It is not as easy to travel as this site makes it out to be. I would really recommend further research on traveling in china. We will continue to report with confidence that China is one of the safest, friendliest and easiest places to travel and visitors are very unlikely to run into any issues. This site is based on our opinion and that is our honest opinion. I would have no concerns about personal safety in China, but a lot of your experiences at hostels don’t reflect what I’ve seen there. Chinese hygiene standards are very different than Western standards—especially when it comes to bathrooms—and many hostels live down to their reputation. This is especially the case if you go to places where there aren’t as many Western tourists, or at places that cater mainly to Chinese. Depending on where you travel, you may also have difficulty finding a place that has the permits necessary to allow foreigners to stay there (this is more of a problem as you get closer to Tibet and Xinjiang). And I have personally found that the hostels that offer the most services are also those most likely to be helpful only if you book services through them (telling you, for example, that all train seats are sold out for the next week, but that you can buy a bus ticket through them). Hostels and the services they offer are definitely not something I would describe as being one of the best things about China. I’m sorry to hear that you didn’t really like the hostels in China. We absolutely loved them and travelled in Beijing, Shanghai, Guilin, Yangshuo, Xi’an, Yangzhou, Hangzhou, Suzhou, Wuxi, Nanjing, Chengdu, Tunxi…and I think that’s it?! We also lived in China for 13 months. We found the hostels to usually have great restaurants, lots of backpackers, the staff spoke English (which is hard to find usually) and when it came to booking trains and onward travel, we actually had staff write it down in Mandarin for us so we could take it to the train station directly. As for hygiene, no, China isn’t like the western world, but we did find that the hostels were clean. We haven’t travelled in the areas that you described though, so perhaps the hostels aren’t as great there. Thanks for sharing you opinion, we hope you enjoyed the guide otherwise. Thank you very much for your blog. Been reading it for quite some time now and love your advice. I have a question for you: did you happen to visit Tibet while travelling in China? If yes, how did you get the permits and so on. Sorry if this question has been asked and answered before. We didn’t go to Tibet when we were in China and as far as I know, you need to travel there with a guide/tour. Sorry I can’t be more helpful! Having great difficulty finding out about tourist visa. Travel agent said rules had changed and I need to go on organised trip or have letter of invitation. Neither applies, I just wanted to travel round China for a month – Bejing, shangai, xian chengdu, then head for Japan. You don’t need to travel to China on a tour. You can go independently on a tourist visa. I would suggest arriving in Hong Kong and getting your visa there. Some of the hostels will even do it for you (for a small fee), or you can go down to the embassy yourself. You can see some info here – I would just double check the address and hours of the embassy though. CTS services can also help you out. If you want to get your visa in the UK beforehand, head to the nearest embassy! Keep in mind it’s valid for 90 days after it’s issued. Can you really hike from Badaling to Mutianyu? Nothing’s coming up on Google about hiking between the two. From what I’ve read, you can. Check with your hostel or with a tour agency, they’ll know! So exciting! Have a great time guys. Thanks for the feedback on the guide too 🙂 There’s so many more “highlights” and “must dos” in China, I’m sure you’ll find many more awesome things! Great and informative guide. I am traveling to China for my first solo trip. Is it recommended for me to prebook hostels and transportation (trains) or would it be better for me to just go along with the flow and end up at my end destination. I will be travelling from Hong Kong and back. So, basically, if you book trains about 5 days in advance if it’s not a holiday, then you won’t have a problem. Your guide is AMAZING!!!! It’s so complete and useful, thanks so much!!! I’m planning on going to China next year! But I was wandering about applying to the visa from HK! How long would that take? Do you guys know? Thanks in advance and keep on doing this, your blog is INCREDIBLE!!! 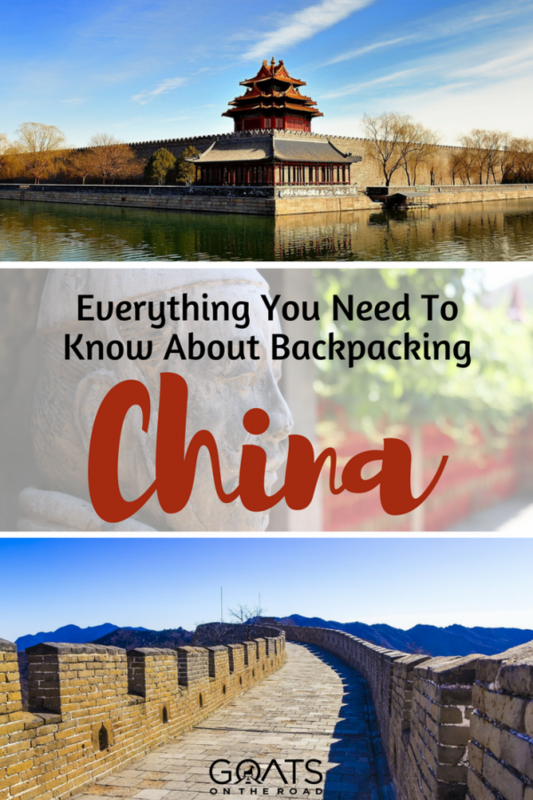 China is a very interesting destination for backpacking. The visa in Hong Kong only takes a few days. Your hostel can arrange it, tour co’s can, or you can go to the embassy yourself. Great PAGE. A lot of useful & practical information. I am 70. Retired and have a pension of 1.050 € per month. I would like to stay for a longer period in order to travel all around the country. Ideally, I would like to find a small rural town where I could find a Chinese woman and live over there for good. I follow the Buddhist path and do not need luxuries. I need suggestions and help. Thought it might be helpful to post these links for people who want to plan trips by train in China. If you don’t have an address in China to deliver tickets to, its still easiest to just buy the tickets at a travel agency or train station rather than via these websites – but at least you can easily work out your itinerary (and see how busy/not busy the trains are) in advance of booking a trip. Really apprecite this website as I am planning my first visit to China. Well, I will travel with my fiancé and visited China some 15 years ago. We will fly in to Hong Kong to visit friends and I am thinking about gettin the visas there. I am Swedish and he is British, so supposedly it should be not problems obtaining visas. I could of course get a visa in Sweden before I go but it is about 10 times as expensive. My fiancé lives in remote parts of Indonesia so he can not get a visa before hand. Do you think we will have any problems? We will have about 7-10 days to travel in China. Is there any region you will recommend to us? Something that is not too far away from Hong Kong (a short flight or a few hours on train). We will travel mid to end of March and are just looking to have a nice and relaxing time, enjoy some nice scenery and food. Our budget is of around 40 US / person and day. Will that suffice for a midrange journey including travels, accommodation and food? Any input would be greatly appreciated, thank you! Hopefully you can travel to China soon! My 17 yr old daughter and I are heading to China for 5 weeks starting June 2, 2016. We are flying into Shanghai and staying with friends there for the first week (our friends will not be in Shanghai after the first week of June). We would like to go to see the water towns, perhaps Xitang (day trip perhaps?). Now from this point forward, I need help figuring out in what order the next destinations make the most sense. We would like to do the Yangtze River Cruise, we would like to see the dragon boat festival, we would like to go bamboo rafting on the Dragon Jade River, we would like to visit Xi’an, Chengdu, the Yellow Mountains in Huangshan, Guilin, Yangshuo, Tibet, Yunnan Province – Shangri La, Hangzhou, Hong Kong, and Beijing. Can you suggest in what order it makes the most sense for us to do the places after Shanghai and where we should take trains and airplanes? If we cannot fit all these places in 5 weeks, I can take Tibet, Yunnan Province – Shangri La, and Hong Kong off the list. I am also thinking it might make sense to fly back to the U.S. from Beijing. Your feedback on all of these points is greatly appreciated. 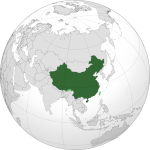 I was read ur post avout ur plan to visit china in june2016. Thanks for sharing all this information, it will come in very useful when I go on my upcoming trip to China! I feel like I need to take a map and scribble all over it but i’m planning to get the trains from Beijing to Hong Kong (making a lot of stops along the way of course) – is this feasible? I’ve also got family in Liaoyuan so will be spending some time there – and will hopefully be leaving with a notebook full of written Chinese instructions to help in any emergency! Hi Thanks for all the info, I have question my travel agent is charging me $170 cad for Chinese visa how can I get it for only $60??? is there some kind of processing fee??? I’ve really enjoyed reading your blog on backpacking. definitely some useful information on here 😀 I’m a solo female traveller from Calgary. I’m starting my trip in Hong Kong. My must-see places are Yangshuo, Guilin, Dali, Leshan, Mount Tai, Shanghai + Suzhou/Hangzhou area and ofc Bejing. Would you have any recommendations for train routes for this journey? I’ve been searching trains for a while now and haven’t had much luck with getting to Guilin, Dali and Leshan at a reasonable time. I have about 3 weeks so I understand that all of the places might not be possible. This is by far the best guide I’ve seen on budget travel in China. Excellent post! Thank you SO much for your incredible blog! My husband and I are planning a 1 month trip around China, 1 month around Vietnam, and maybe Cambodia. In China, we are planning to go to Shanghai, Beijing, Xi’an, Chengdu, Yunnan Provence – Lijiang & Dali (Tiger Leaping Gorge), Yangshuo, and Hong Kong. What is your advice about this? Also, any other travel immunizations you would recommend ? Before reading this stuff I had conception that china will never be on my go to list. Thanks for brilliant write up and changing my perception about china. There is now visa free travel in China. It’s called “72 hour visa free” – Read all the rules carefully! Good job sharing your experience, and tips specially regarding their internet which is an essential to travel bloggers. Thank you for sharing with us. I also love to travel, before traveling i want to read a travelers blog. i learn a lot it is a big help for I’m also an independent backpackers. Ive said it before about goats on the road and Ill say it again. Great article, great blog, great people. This guide is really helpful for travelling around the middle kingdom and its great to see prices for common purchases on here too. Great post. How did you travel from city to city? Train,plane rent a car? Is it possible to rent a car and just drive around the country as one would in Canada,USA,Europe? Great question, one which had me thinking that we never actually met anyone who was roadtripping across China. And in fact, we lived in China for a year and none of our foreign friends drove cars, just scooters. When we were backpacking China, we travelled by bus and train. Did you mean the Li River in Yangshuo, not the Yangtze?